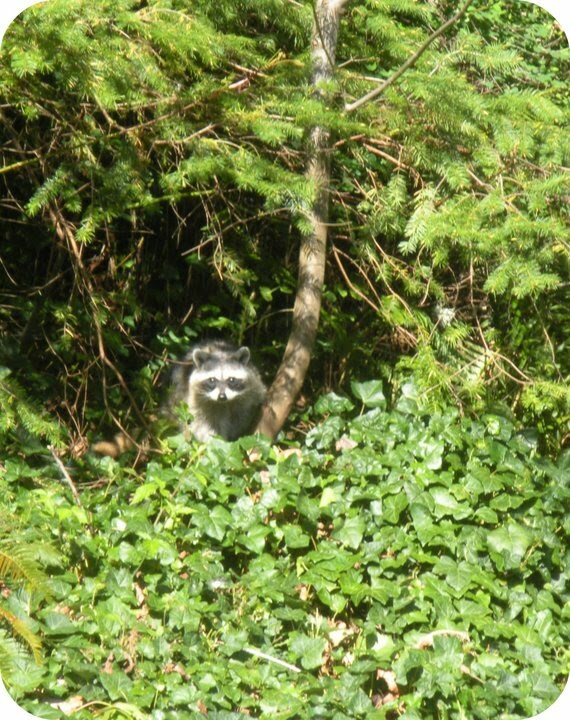 Last weekend, this little raccoon came to visit us in our backyard. 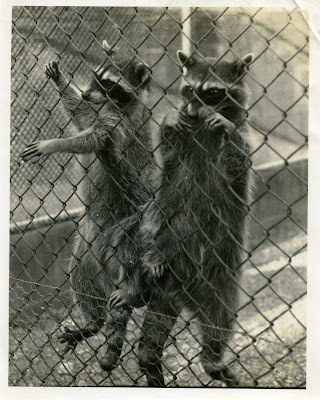 I love these little creatures with their bandit masks and striped tails. I know they are not known for being friendly but I like to pretend that they are sweet and loving like the one's Snow White knew. 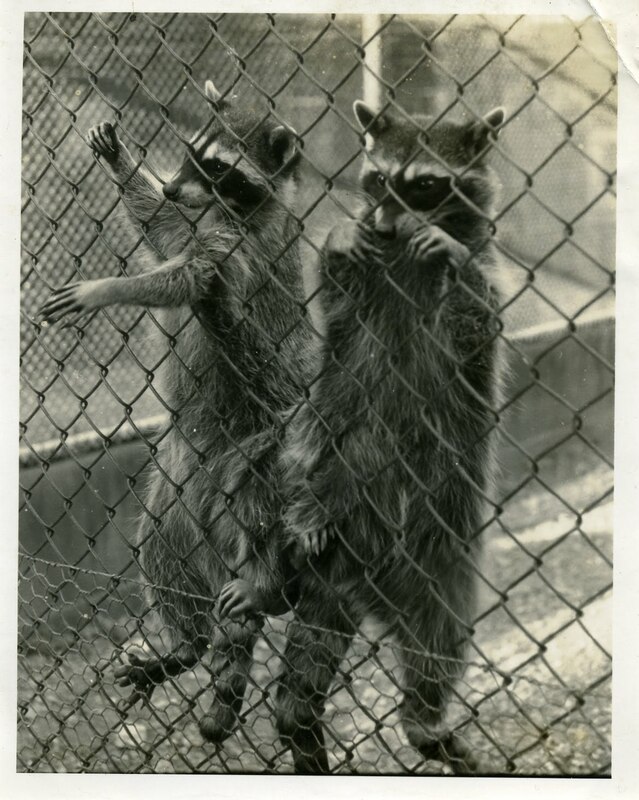 I can totally understand why the Beale's fed their raccoon tenants. I found this snapshot at an estate sale a few weeks ago. These raccoons aren't as cute as the one who came to visit us. They look like they could be trouble. I take that back, they just need a sandwich. I've had people in my past call me "trouble." "Hey, Miss Trouble" or "Here comes trouble." I think that's rude, so there. p.s. We have a really cute raccoon for sale in our shop. I think it's cool if your dear friend calls you trouble or a hot guy. It's the slimy ones that gross me out. But, you are right I am trouble, the good kind.